The LunchBots Thermal 8 oz. 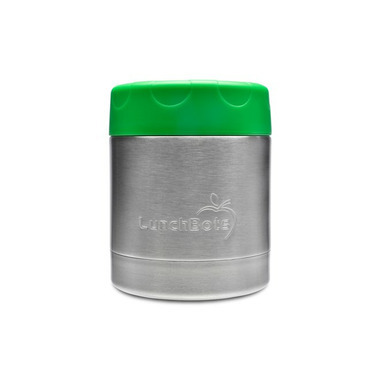 holds 1 cup and has a 3.5” diameter that’s ideal for children’s hands. 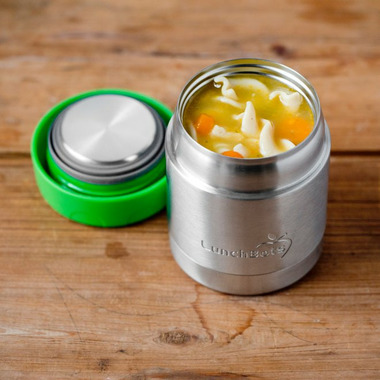 This dishwasher- safe, completely leak proof container keeps 1 cup of soup or chili hot to complement any meal- to- go. 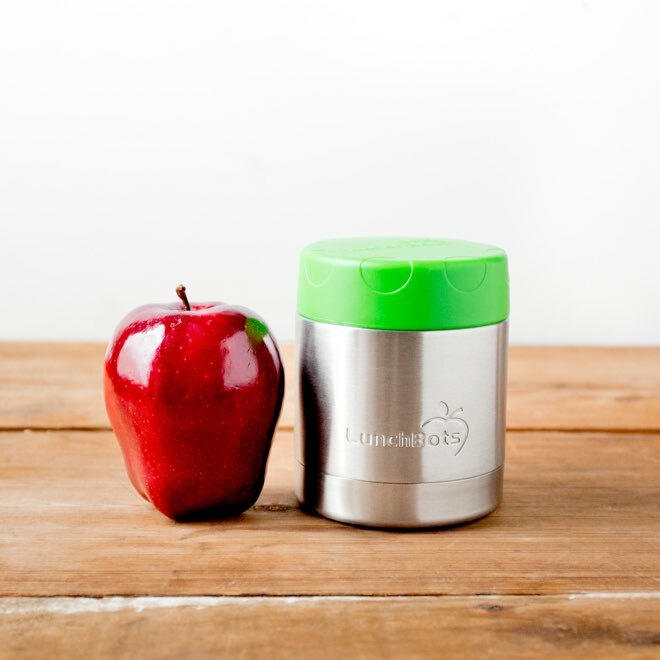 Its all- stainless interior – including the lid – means no plastic touches your food.